Click to view this Hostel. Click to view this . Click to view this Bed And Breakfast. Click to view this Hotel. Click to view this Guest House. 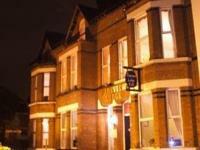 Click to view this Guest Accommodation. Click to view this Apartment. Click to view this Serviced Apartments. Click to view this Self Catering.